And while I’m normally all about music festivals, this year I’ve been mostly going to food festivals, wellness festivals, hoping to go to a comedy festival… It just hasn’t been my year for music. However, I did attend Longitude on Saturday so that may get the ball rolling again. I mentioned this in a previous post, but I actually didn’t have a ticket for Longitude until about a week before. I just wasn’t that bothered. But, true to form, the closer it got, the more I wanted to go! Luckily, my girl Ais was on the case and found us two tickets. This was made even better by the fact that our friend Greta got a ticket – the morning of Longitude! I’m not a big one for festival dressing. You wont find me in fringe, glitter, sequins, feathers. None of that stuff. I’ve always been more of a Kate Moss festival look girl myself. Lots of black, a leather jacket, don’t overdo it on the effort. To be fair, it’s probably just laziness on my part! I don’t have anything against people going all out with their festival attire, it just isn’t for me. I bought this dress months ago in Penneys (Primark for anyone outside of Ireland). It was pretty long on little old me and the length just wasn’t flattering. Wonderweb to the rescue on Saturday morning! I wore boots from Dune, my usual leather jacket, my Celine and red lipstick and considered it done. I actually haven’t curled my hair in forever! It felt so nice to have it curly and a bit more manicured than usual. If you want to know how I curl my hair, check out my Wavy Wednesday post. It’s an oldie, but my technique hasn’t changed. I am thinking of doing a video on how I curl my hair too as I think it’s easier to show in video format. So let me know if that’s something you’d like to see. I think I’m getting old. Mostly because I had barely any idea who all the acts were all day. Is that embarrassing? Should I retract that sentence?! Either way, it’s the truth. I think when the weather is amazing, it really doesn’t matter what acts are playing because you’re just happy to be out in the sunshine. However, speaking from experience, when the weather is crappy, the acts are the only thing that will keep you going! This year, I was really just there to see The Weeknd and have fun with my friends. It was great to just walk around, have a few drinks, chat in the sun. There are loads of great areas in Longitude. We spent a lot of time at Casa Bacardi, the Desperados area was a lot of fun too, and the Red Bull area was really nice. I loved all the decorations. Also, are you spotting the drink related themes to the areas? Next time I’d really love an area sponsored by a burger company like Bunsen or Box Burger. Imagine it – instead of everyone dancing around like lunatics to some dj with drinks flying everywhere, there would be a load of beanbags and some chilled out music to facilitate everyone in their burger related comas… Literally the dream. See? I am getting old! Now this may be controversial, more controversial than the “I don’t like glitter at festivals” comment, but, I wasn’t loving The Weeknd. Don’t get me wrong, the songs that are the hits, are hits for a reason. They are amazing! However there was a section in the middle of his set where all the songs sounded the same, lots of people started chatting and I started thinking about what a nightmare it was going to be to get a taxi when the festival ended (old). But, then the last four or five songs were brilliant, and there were fireworks so… all in all I think it levels out to a good show. I would have loved to have seen Mumford & Sons on the Sunday, but me and my knee had a serious date with the couch and Netflix that I just couldn’t cancel (old). 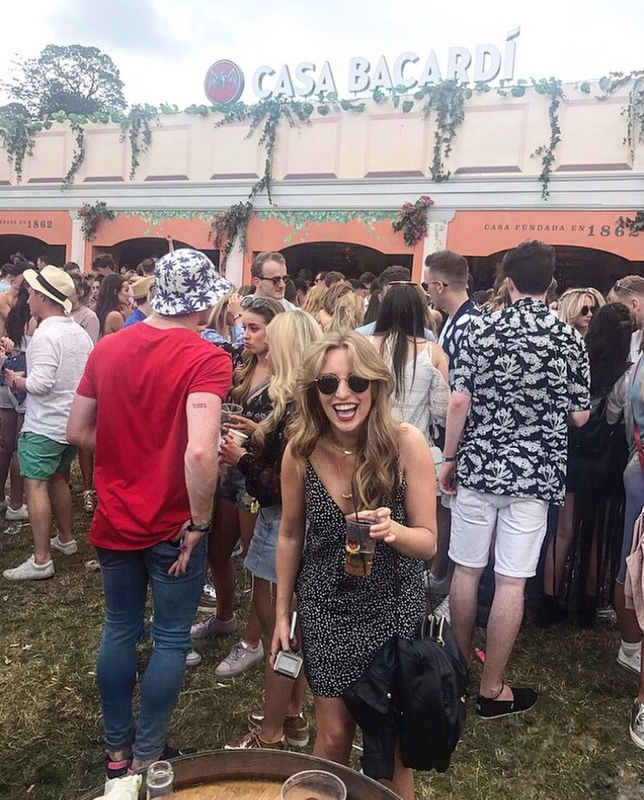 I currently have no plans to attend Electric Picnic in September… but as I’ve clearly proved, a lack of plans and tickets doesn’t mean it won’t happen! What festivals are you or have you attended this summer?